...It means ur team is just fit to play solid D! ...I'm guessin it puts a smile on every Piston face! That has 2 be a sign...She's teasin' us in the Home Whites! 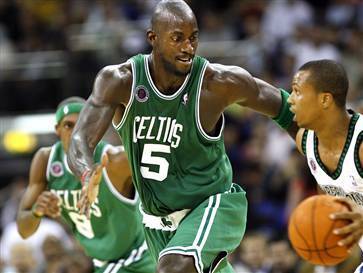 The way KG plays D, the Hawks may think there's two of em! The Pistons will be tightening up the D tonight! This page contains a single article from April 23, 2008 12:15 PM.